We have seen a huge increase in the number of Related Questions showing up in the Google search results, the drop down with the “People also ask” in the box header. But now that we see more of them, we have noticed they often have a chance to also show up with featured snippets in the same search result. They never appear on top of each other, there is always at least one organic search result between them. But it definitely pushes more organic results further down on the page when they both appear, particularly if a searcher decides to expand any of the related question drop downs. First, this is how it appears in the larger search results page when they both appear. 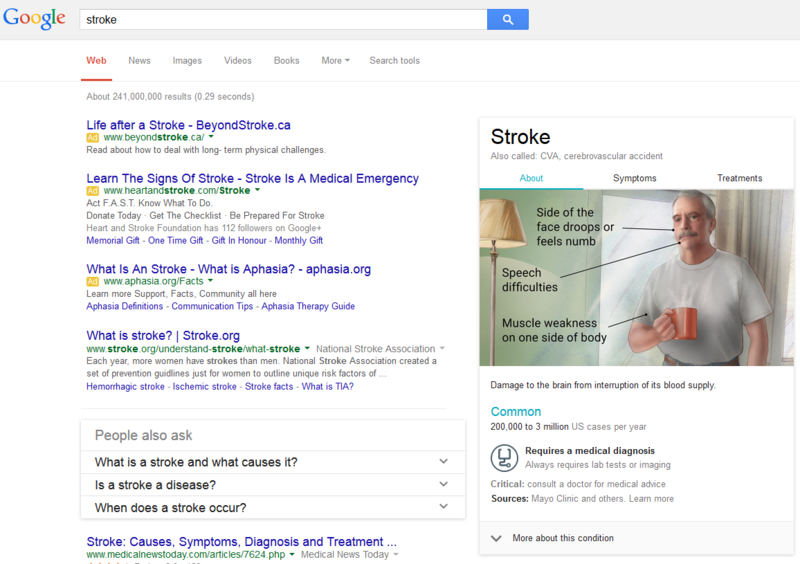 Here is another example in a search result that does not have any AdWords ads appearing. 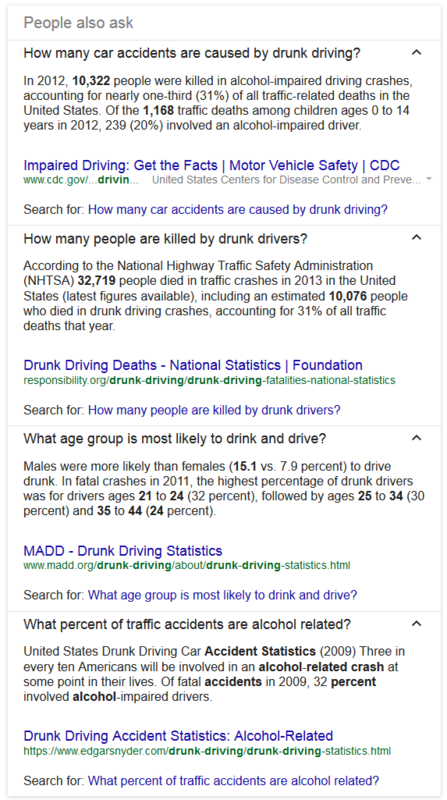 When you expand the related questions, from the drinking and driving example above, it also takes up a huge amount of screen real estate. 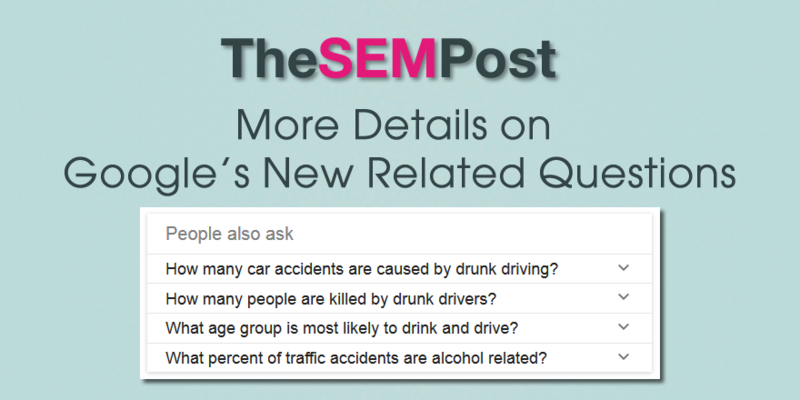 Related questions can also appear on the same page as a knowledge panel. Google began testing the related questions feature back in April, although it was very rare we would see them in the search results. But starting a week or two ago, we began seeing them with a lot more frequency and consistency. For those in market areas that feature related questions, it will definitely be a goal to ensure your site ends up being featured in those question & answer spots if someone does decide to click and expand one of them. It is also worth noting that commercial sites are not excluded from the related questions. 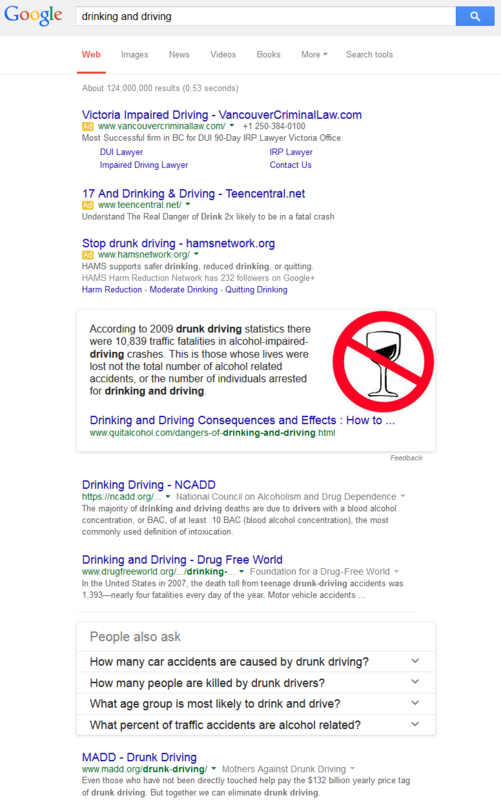 One of the questions in the related questions box for “drinking and driving”, which is expanded in a screenshot above, is from a lawyer’s website that happened to have a page about it indexed in the Google search results. Related questions aren’t showing up in a huge number of search results however, Mozcast internal data has them at just over 1% of the search results they track. But it is fairly early on in the roll out, so I wouldn’t be surprised if we see that number grow. 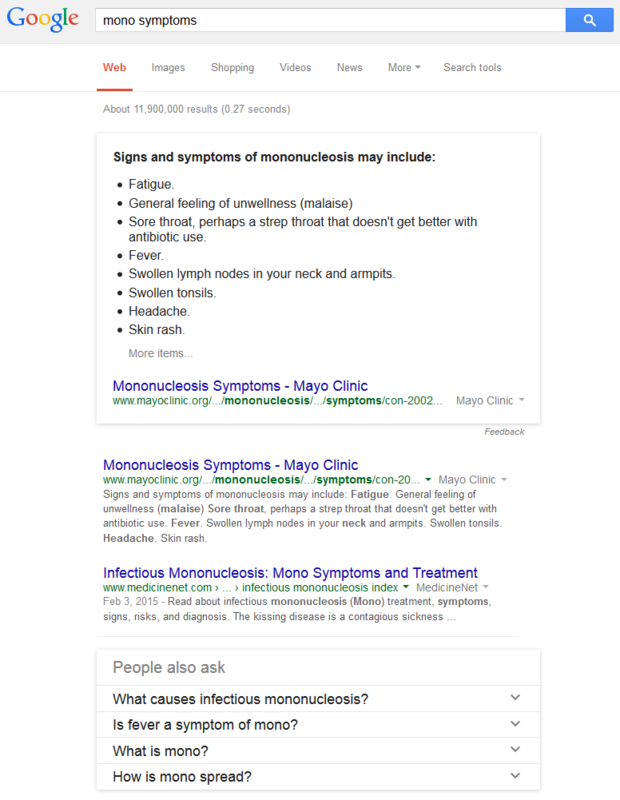 Thank you to Dr. Pete Meyers from Moz for sharing raw data for featured snippets and related questions from Mozcast data with me.